Bhubaneswar: Odisha Govt send 225 fire service personnel, 15 supervising officer with 75 boat for rescue operations in Kerala. As per order of CM Naveen Patnaik, total 225 fire service personnel, 15 supervising officer with 75 life saving power boat will proceed to #Kerala on Saturday by a special flight from Bhubaneswar for rescue & relief operations . The death toll in the flood-hit Kerala has jumped to 385. The death toll from 10 days of floods in the state has nearly trebled in the last 24 hours. Over 3 lakh people are living in relief camps across the state and a red alert was sounded in all 14 Kerala districts. All three wings of the armed forces have been pressed into action for a massive rescue operation. North and central Kerala has been worst hit by the floods. 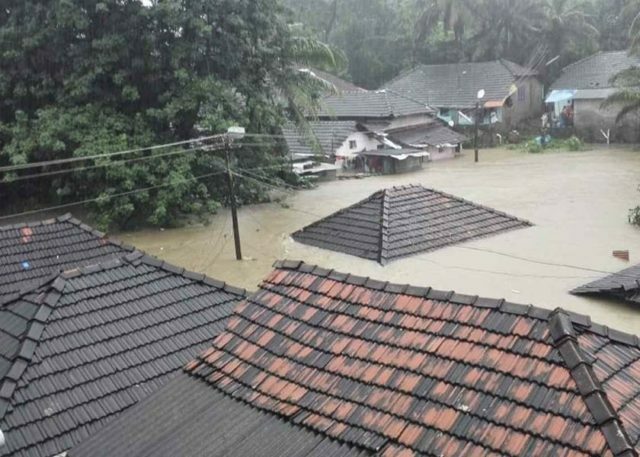 Pathanamthitta district in Central Kerala has been the worst affected in the last 24 hours as thousands of people — students among others were trapped in their homes in Ranni, Aranmula and Kozhencherry. Kerala’s government has described the crisis — one of the worst in decades — as “extremely grave” and rescue operations are underway to help thousands who remain trapped by floodwaters. Kerala is facing its worst flood in 100 years. 80 dams opened, 324 lives lost and 223139 people are in about 1500+ relief camps. Your help can rebuild the lives of the affected says Kerala CM. Kerala CM office has confirmed 324 deaths since May 29, 2018 and 164 deaths since August 9 due to devastating floods.